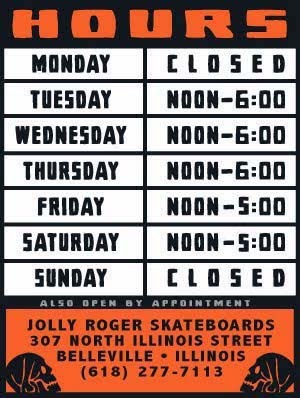 Jolly Roger Skateboards: New Missouri Vortex (aka Hermanns Hole) Tees Coming Soon! New Missouri Vortex (aka Hermanns Hole) Tees Coming Soon! IN THE WORKS: Missouri Vortex (aka Hermanns Hole) tees! These “happy accidents” are my favorite kind of tees to make. I was talking to JP from the Missouri Vortex about ideas for a new tee for his spot. He accidentally said "All-Seeing-OWL" instead of "all-seeing-eye" when we were talking about illuminati type conspiracies. The result is this awesome Missouri Vortex “All Seeing Owl” tee. If you want to help support the best hidden DIY gem in Missouri, buy one of these tees from JP. These tees will be finished on Friday of this week. If you want to be one of the first to get one come into the shop asap and get one before they are shipped off to Missouri.